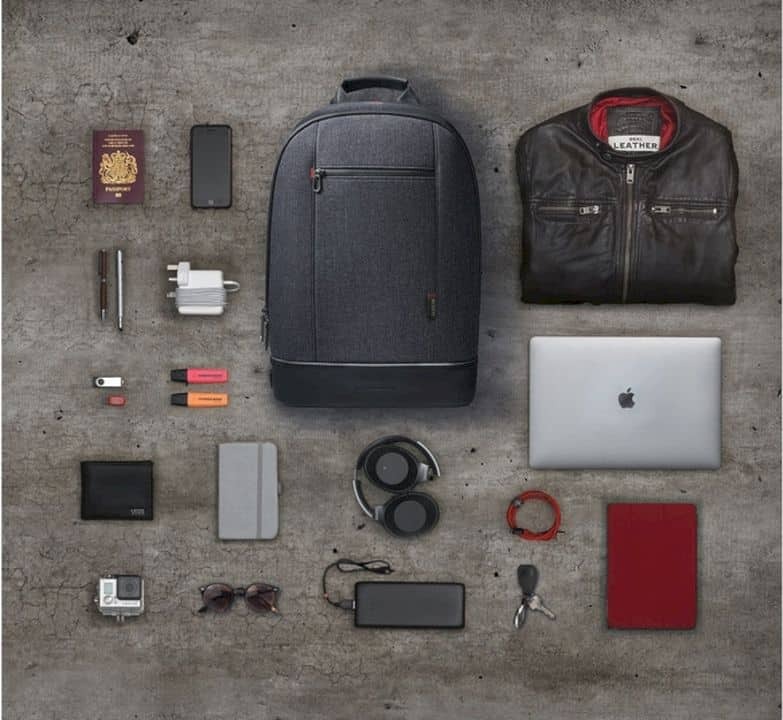 Agazzi is a minimalist and waterproof backpack with a capacity of 23 liters. 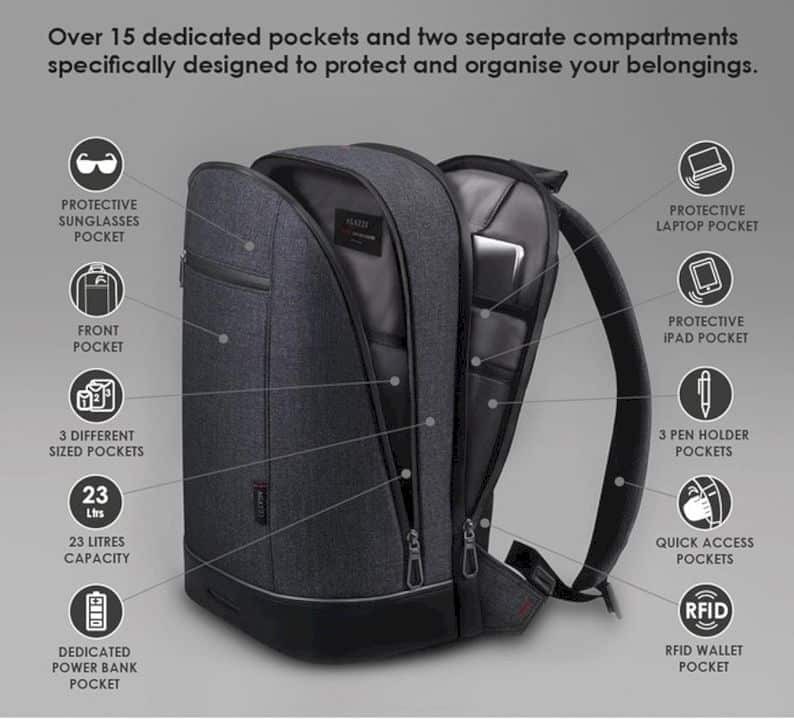 Inside is a laptop compartment along with a larger main compartment and 15 different pockets. 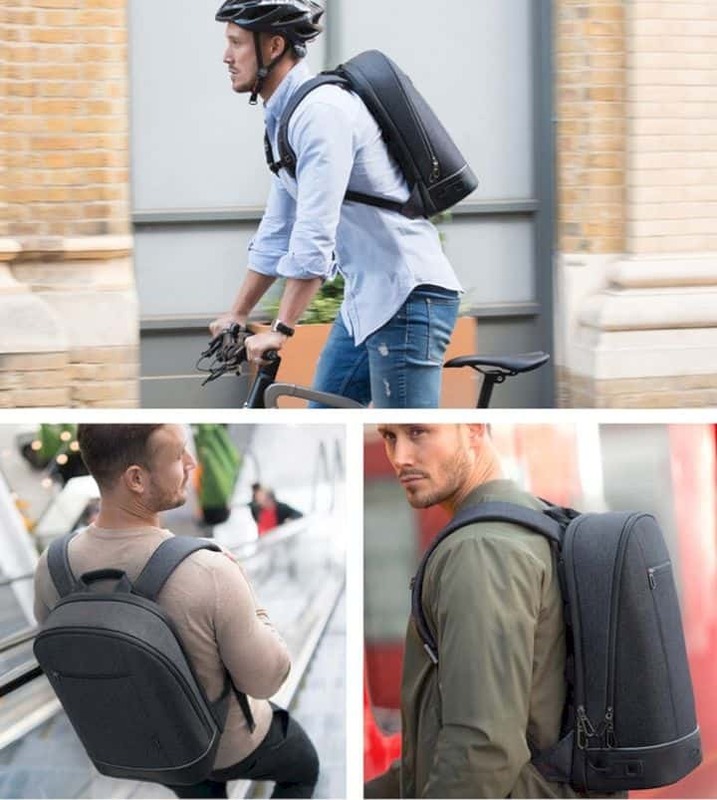 Shoulder straps are made to stay comfortable to use, such as adjustable chest straps and slip buckles, no matter what type of clothing the user wears. 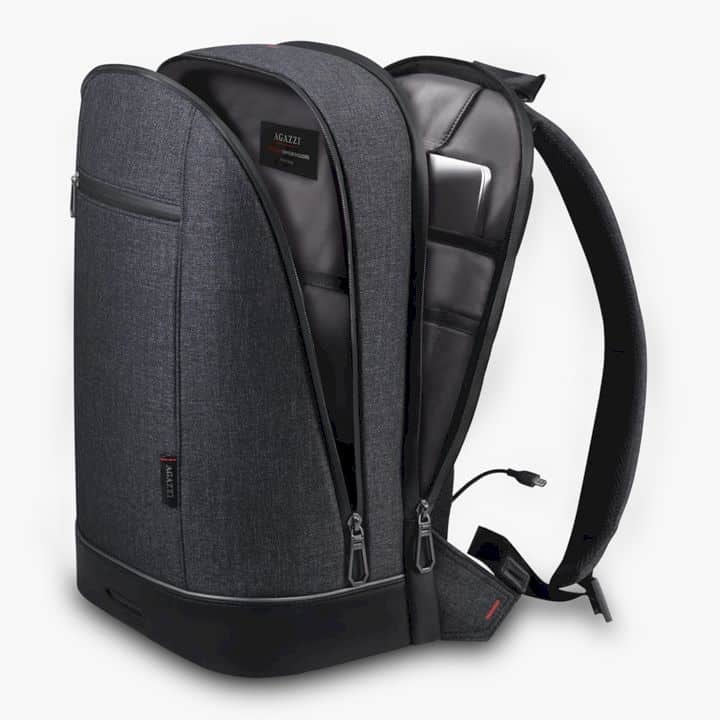 Securing a backpack to protect your valuables is reasonable, but keys are easily lost and combinations are easily forgotten. 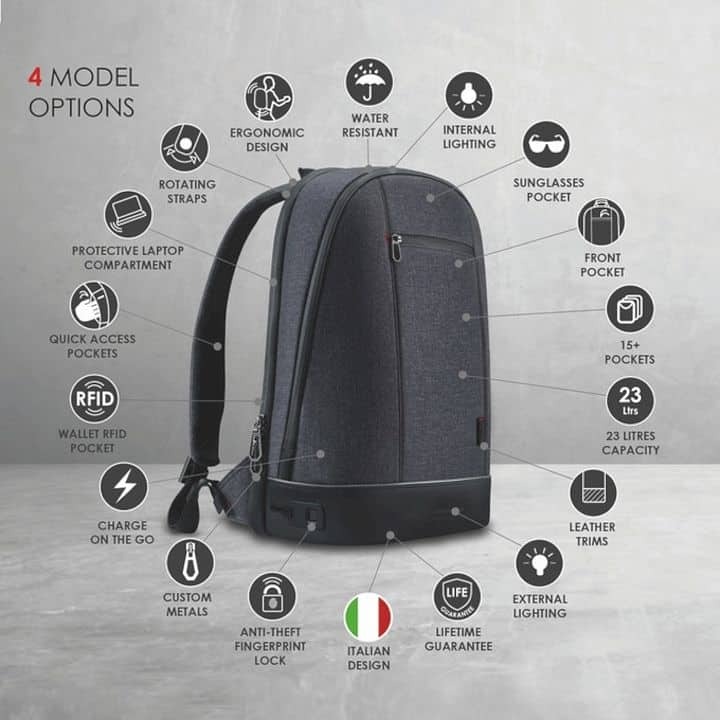 The Italian company Agazzi Designs tries to answer that by incorporating the latest technology into their latest backpack, Agazzi. 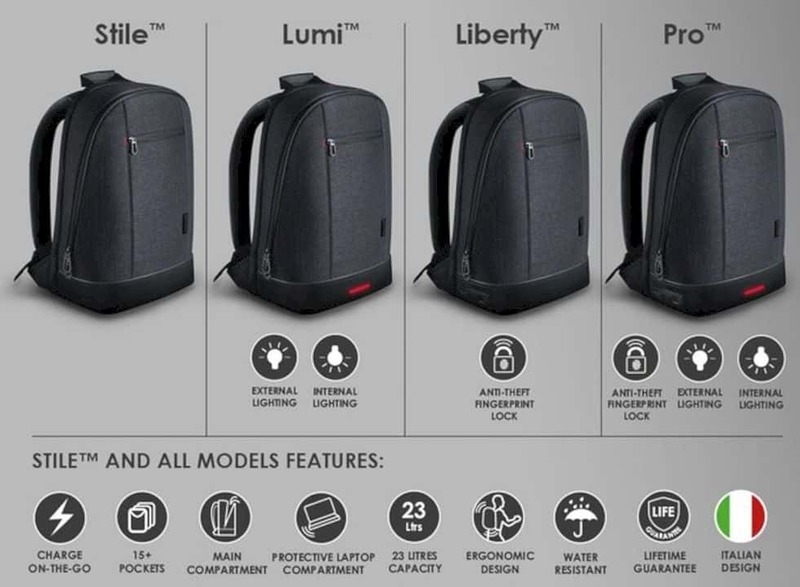 The company integrate a new approach that eliminates the shortcomings of the old security system and presents the first urban backpack with an anti-theft fingerprint scanner. 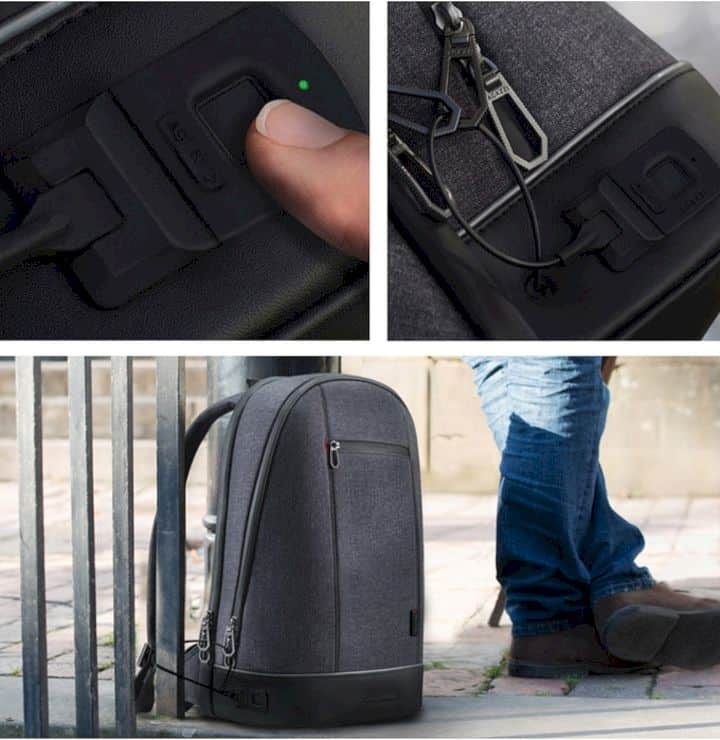 This new system ensures that only those who have registered fingerprints can open their backpacks. 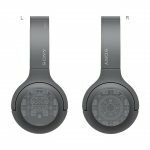 The fingerprint lock whose power can be recharged via USB is its flagship feature. 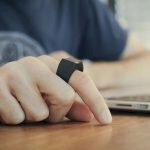 This allows the owner to prevent access to anyone without a registered fingerprint. This is similar to what we now see in many modern smartphones. 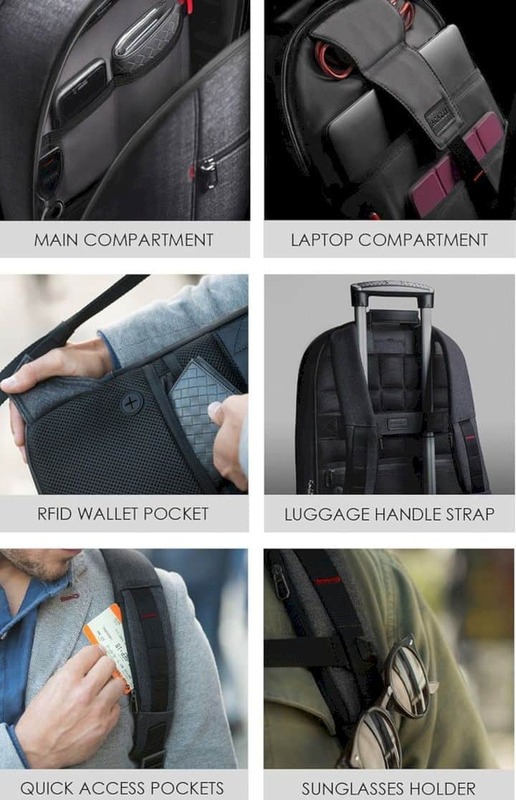 Another practical security feature is a retractable steel cable that can be used to lock all the different compartments from the bag or secure everything to a pole. 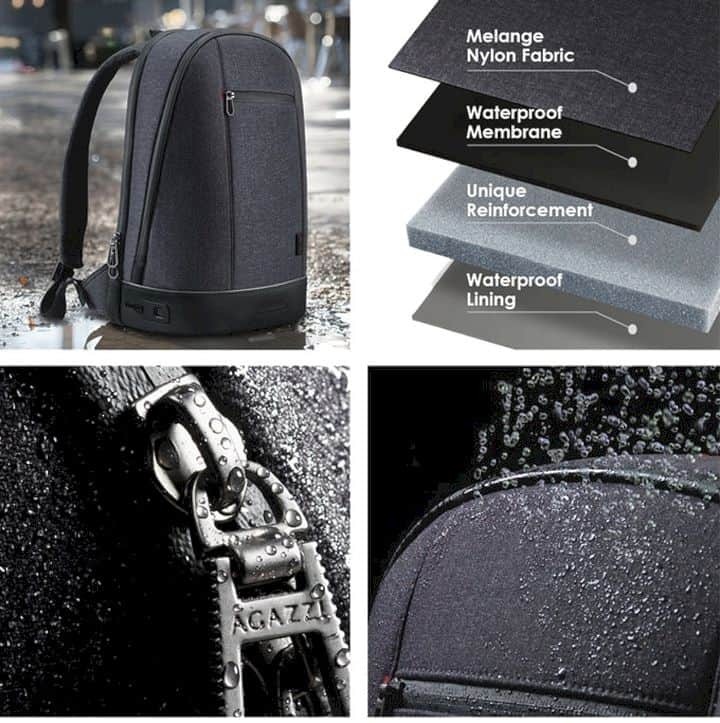 Agazzi also has a special integrity power bank with hidden cable lines that spread throughout the bag. 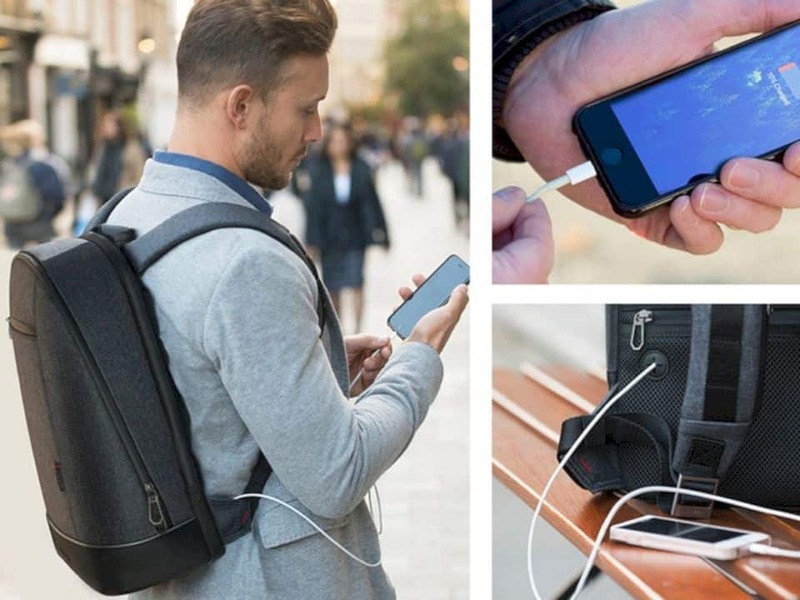 This feature is mainly designed to charge mobile devices neatly while traveling. 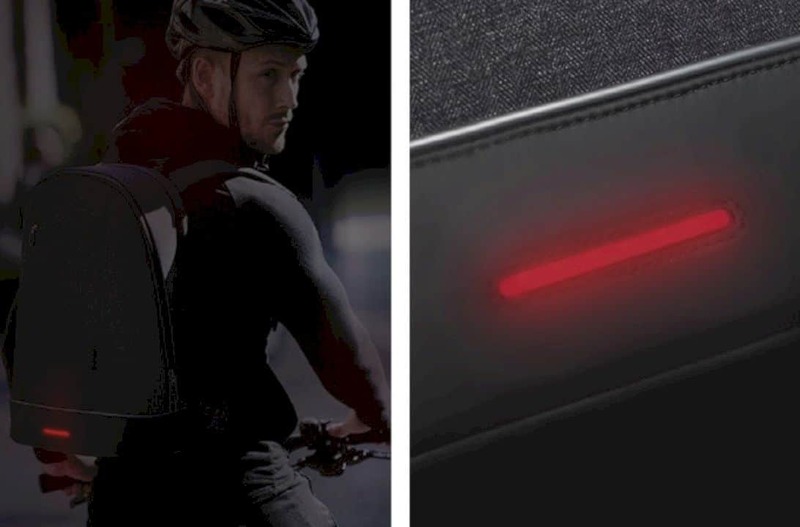 Not only that, this power bank can be diverted to the lights on both sides, so you can see well while looking for items inside. 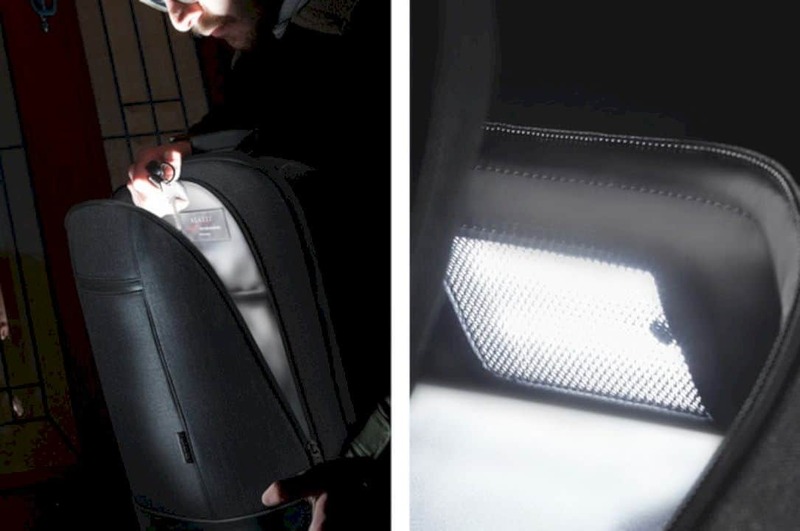 What's more, there are also lights on the outside of the bag so you can be seen at night when walking or riding a bicycle. 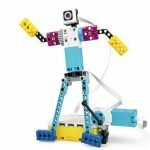 After successfully obtaining funds from Kickstarter crowdfunding, Agazzi is planned to be marketed in four variants. 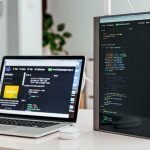 But according to the initial promise for the version that carries the fingerprint scanner feature and the lights are set at around 250 dollars. 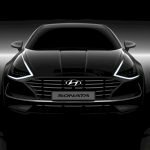 If everything goes according to plan, the company will begin its first shipment in October.